I was happily sewing along yesterday, thinking that I was going to be super clever and whip up not one, but two dresses in an afternoon. Dress number one is for a friend. It is a copy of a super simple dress she already owns and loves that is made out of a cotton knit. I didn’t even both with a pattern for this one, just laid her dress down on my fabric, eyeballed, cut around it, and stitched it up. It still needs bindings and a hem, but this is definitely the fastest dress I’ve ever made. I hope she’s pleased with it, cuz I think it’s pretty cute. 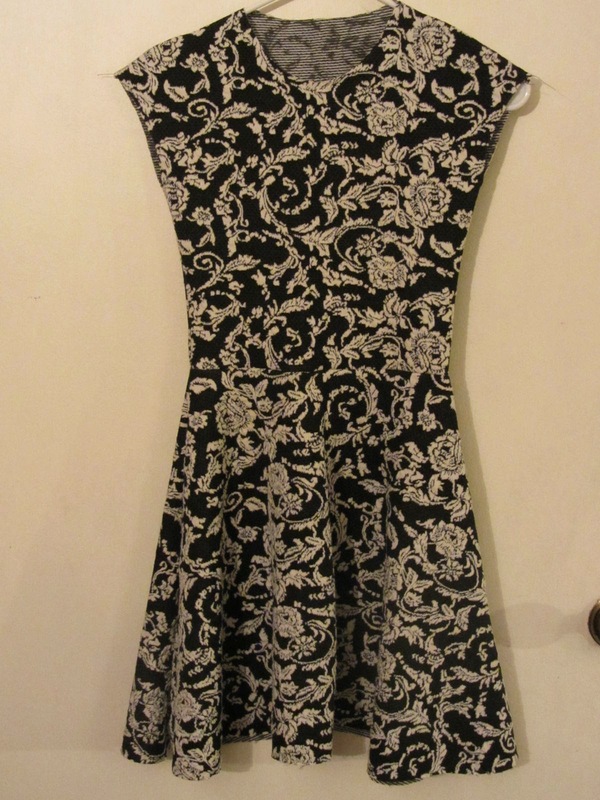 Then I moved on to a dress for me, using Butterick 5780 and the same fabric (which is a knit blend from Joann’s). I’m making version C. Or I was. Because once I tried on the bodice, my heart sank. I love the shape, but that fabric – it’s just not right. 1. It kinda looks like a couch. 2. It’s kinda scratchy. I thought I could forgive a little poly content, but in long sleeves I just can’t ignore it. 3. 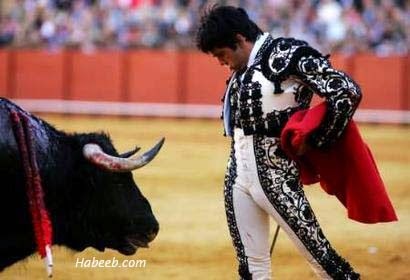 Josh saw me in it and said I looked like a matador. Yep. I can see the similarity. It’s such a funny thing that this fabric could look cute in dress number 1, but give it long sleeves and all of a sudden it just doesn’t work. I wish I had a Tim Gunn to take fabric shopping with me, because I just don’t anticipate these things and now I have half a matador costume (days after Halloween is over) but no dress. Do you run into these kinds of problems when you sew? Do you have tricks for envisioning the end product and avoiding disasters before it’s too late? Please share! Wow, what a difference, really cute first dress and yup, you're right, matador couch in dress number 2, although I think the different lighting doesn't help. Have you cut the skirt pieces for dress 2? I'd be tempted to ditch the top (treat it as a muslin for one in different fabric) and make something else with the rest of the fabric, a skirt or a top more similar to dress 1? I guess if you have the skirt pieces cut you could try and make a seperate skirt out of it. Good look! Haha! I'm so glad you agree with me and I'm not just crazy. I haven't cut the skirt yet, so I'm definitely scheming other ways to use the fabric. Maybe view B of McCalls 6833? 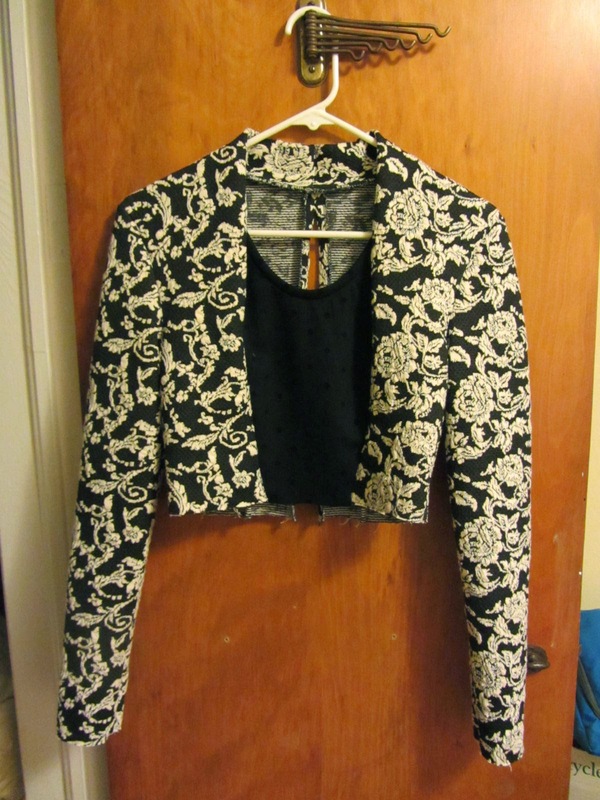 Oh I think it only looks like a matador jacket because it is just the bodice. I think it will be stunning if you finish it but it won't be a dress to go to the shops in.